Pulling off a successful Crowdfunding campaign on IndieGoGo, Kickstarter or the like requires a lot of planning. 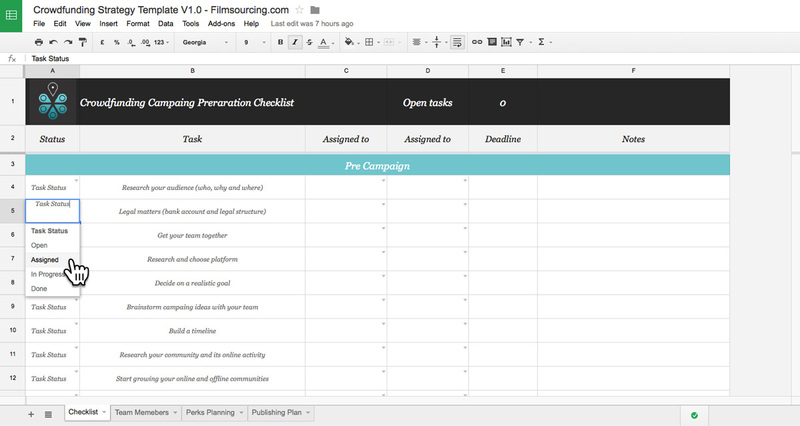 This Crowdfunding Planning and Strategy Template includes a thorough checklist, team contact list, communication timeline and perks planning tool – all as handy Google Sheet. Make a copy to your Google Drive to use all the features. The document will open in a new window. Don’t forget to tweet to us about your campaing – Happy crowdfunding! FREE DOWNLOAD – GOOGLE DRIVE ** If the link above doesn’t work, click here. The checklist works also as a to-do list, divided into pre campaign, launch and post campaign sections. Feel free to add your industry/campaign specific tasks by adding more rows or removing the ones that don’t apply. Perk planning makes it easy to calculate the number of perks / prices required to achieve the goal. 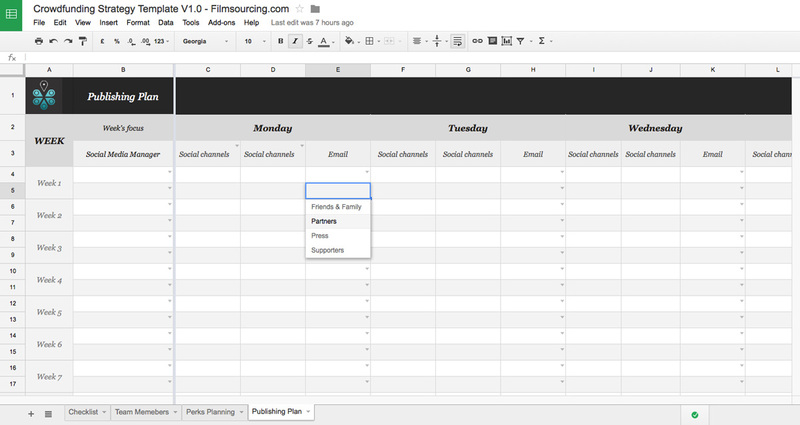 A document for managing team contact details, roles and weekly availability. Great for keeping your team on the right track. Who needs to be contacted and when? Who manages the social media channels? How frequently and what type of content will you post? This document will help you plan your campaign communications.